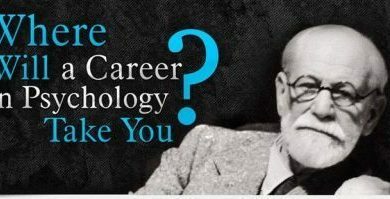 Who is Criminal Psychology For? If you are fascinated with the way a criminal mind works and operates, and you feel that you have the mind and stomach to view sometimes, brutal crime scenes, then becoming a criminal psychologist might be a job you want to pursue. Criminal psychologists observe crime scenes, as well as pieces of evidence, talk to witnesses and then use the information to do what is called profiling. This is the term for developing a psychological profile of the perpetrator. Once a profile has been completed, it can help police to determine the motivation, nature and patterns of the perpetrator, and ultimately aid in finding and arresting him or her. To become a criminal psychologist, you must first obtain your masters in criminal psychology, clinical psychology or counseling and then continue on with your doctoral degree in a similar field. To practice psychology as a psychologist, you must be licensed in the state you wish to practice. To do this, you must first pass a state certified exam, hold a doctorate degree from an accredited institution (some states accept masters degree programs as well) and complete one year of fieldwork. There are factors which will influence whether you get into the master in criminal psychology program you wish to attend. Each school or program will have different admission requirements, but each will look at your grade point average from your undergraduate degree. While some schools, which are harder to get in will require at least a 3.5 GPA other schools might consider you for admission with a 3.0 GPA. Also, you will generally be required to take the GRE (Graduate Record Exam) and many schools weigh heavily your letter or letters of recommendation. There are also many online programs which offer accredited masters degrees in criminal psychology. If you are looking to further your education without attending a traditional university, this can be another way to get the graduate degree you need. Online programs are often taught by professors who have worked many years in the field of criminal psychology, and can be a great source of information for what the job actually entails on a daily basis. Education can be expensive. There are many masters programs which offer financial aid, stipends, or research assistantship where you help a professor with research in return for pay. Other times you can help a professor teach a class and receive money as well. Be sure and find out about any stipends, research or teaching assistantships, or other financial aid before attending a program. A masters in criminal psychology program needs to fit your lifestyle. Since there are programs available online, for many this is the most viable option, since they may have families that they cannot leave for months at a time to attend a university program which may be in another state. Research all of your options, and determine the best program for you.